Quote: "Authorities closed several blocks in downtown Richmond tonight after reports of manhole covers blowing off and flying into the air." Quote: "Officials said that around 10:30 p.m. approximately six manhole covers were blown off within a two-block area. One manhole cover was broken in half. An underground power line caught fire causing the explosions." Quote: "FedEx flight 1412 landed just before 5:00 a.m. after reports of smoke in the cockpit." Quote: "The pilot, who did not want to be named, told the QT as smoke began to fill the cabin he estimated he had 30 seconds to land the single- engine plane before the situation deteriorated." Quote: "A small Cessna plane caught on fire on a runway at the Portland-Troutdale Airport Wednesday evening." Quote: "US grounds entire F-35 fighter jet fleet after unexplained fire"
Quote: "The fire began in the boat, which was parked in a driveway, and the flames spread to two nearby houses." Quote: "The cabs from several semitrucks burned in the parking lot of Burris Refrigerated Logistics on Central Port Drive." Quote: "Six vehicles that are a total loss and then probably two civilian vehicles that were parked by them were also a loss." Quote: "Two cars, a caravan and around 30 tyres are currently on fire in a Dartford breaker yard." Quote: "A van went up in flames in a parking lot in west Nashville on Thursday afternoon. It happened at the Walgreens at the corner of Charlotte Pike and White Bridge Road." Quote: "I dread to think what would have happened if I had been going along the motorway. I would have been in trouble because it went up in flames so quickly." Quote: "On Wednesday, a street in central London was closed for several hours after an explosion in a manhole set a parked lorry on fire." Quote: "Witnesses have told how they heard a loud bang and part of the pavement popped off outside the former Roy’s bakery premises, on the corner of Front Street and Hotspur Street in Tynemouth. However, a Northern Powergrid spokesman has told the Chronicle that this mysterious mini-explosion did not cause the blackout. The powercut was the result of a fault, which affected a number of substations." Quote: "Later it was revealed that the injured man in his early forties had been working on a substation near the petrol station on Friday (4 July) just before lunchtime when an explosion occurred. 'His clothes and skin caught fire and covered in flames he ran around in state of fear,' says an eyewitness and employee of a neighbouring business. 'His face and hand were scorched and his skin started peeling off,' he says." Quote: "According to a release issued by the Hamilton Police Service, which was called to assist the city’s fire crews , a GMC Suburban parked immediately adjacent to the Hwy. 5 West house caught fire and began spreading to the home at approximately 1:55 a.m. July 6." Quote: "According to one of the family members, she got up to heat a bottle for a 3-month-old baby when she smelled wires burning in the house. She awoke another family member to investigate the odd smell to find their car on fire in the garage. They immediately pushed the car out of the garage to alleviate the fire spreading throughout the house. Unfortunately, they were too late. The fire spread throughout the garage and spread to the house. Firefighters quickly attacked the fire to contain it to the left side of the home. Damages are extensive and estimated at $120,000." Quote: "One hose reel was used by firefighters to extinguish a fire in a scrap yard compound. A ladder was used to get access to the yard." Quote: "The fire is out, but authorities have closed off the area where a power pole caught fire at about 6:30 p.m. Fire officials said they are unsure how the pole caught fire." Quote: "Los Angeles County Fire Inspector said the recycling center focuses mainly on scrap metal and that one structure was damaged but most of the fire was outside the yard." Quote: "The fire was at two old residential structures that have been converted into a sheet metal shop on the bottom and apartments up top." Quote: "An underground transformer at West 4th and North Market streets exploded and caught fire, according to Frederick Police Lt. Dennis Dudley. Patrick to 7th streets are without power, Dudley said." Quote: "Alarms went off inside a United Airlines plane as a burning smell filled the cabin. The plane, which originated in Honolulu, began losing power and was forced to make an emergency landing over one of the most remote places on earth, a tiny island called Midway." Quote: "The captain said that the smell was getting very strong in the cockpit and so they were very concerned and as they were getting ready to land. They said their electricity started to go out in the cockpit. And one of the things they had mentioned is the radar sensors that went out when we were getting ready to land..."
Note: Well, at least it didn't go missing this time! Still, there have been plenty enough planes burning and smoking to indicate a clear pattern, and those 'friendly skies' are looking more and more dangerous to me. I'm sure your odds of surviving a plane flight are still good and maybe even excellent depending on how you define the term...but they're also getting worse. The safest plane of all right now might just be an F-35 fighter jet, but only because they're all grounded due to one bursting into flame! Quote: "It is the second explosion caused by gas in as many days in Turkey. On Friday, a blast in a bakery in the southwestern city of Denizli killed one person and injured 36 others." Quote: "Istanbul Gas Distribution Industry and Trade Incorporated Company (IGDAS) said in a written statement that there was no natural gas line in the area, increasing the possibility that a problem with the industrial gas cylinders led to the blast." 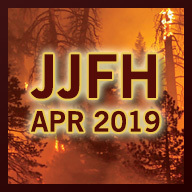 Note: As the atmosphere is increasingly contaminated by highly volatile methane and hydrogen sulfide, more OTHER flammable stuff will be igniting and/or exploding too, including gas cylinders, propane tanks, underground gas lines, propane barbecue grills, vehicles, and more. Did anyone check the air to see if there was any of either gas present before either of these explosions? Nope, so there may have been, and there probably was. Quote: "The pilot reported a fire in an engine on the plane's left side shortly after takeoff and the engine soon shut down." Quote: "The plane landed safely around 5:05 p.m., and the passengers were taken off the plane without incident. Dumas says the plane had 'multiple' blown tires. The fire was initially attributed to a bird strike but Dumas says that information was incorrect." Quote: "'It appears that the helicopter exploded in the air before it crashed,' military police spokesman Kheng Tito said..."
Quote: "The chopper exploded in mid-air before crashing into a water-filled quarry in Prey Sar village, around 10 kilometres from downtown Phnom Penh, police said." Quote: "A truck driver was killed after veering off the roadway and crashing into the middle of a field, only seconds after he radioed to another trucker he was not feeling well. The driver, whose name was not immediately released Tuesday morning, was traveling on Interstate 81 northbound just past Exit 10 shortly before 5:00 a.m., said a state police official. The driver of the truck who received the warning pulled over following the crash and attempted to rescue the driver, however it was too late. According to Pennsylvania State Police, the victim crashed into a concrete object in the cornfield when his truck burst into flames." Quote: "The driver of a tractor-trailer that careened down Mount Rose Avenue and struck five vehicles on Haines Road on Tuesday afternoon said that just before the crash, the brakes on his blue Kenworth gave out." Quote: "Battalion Chief Brian Hoaglin said that some employees complained about the smell and others of sore throats on Wednesday. The call came in just after 4 p.m. After checking the building, including air conditioning units, firefighters didn't identify any issues." Quote: "The Agriculture Department will take care of food resources while the Defense Department will handle water resources in addition to its military role." Quote: "Crews arriving at the scene at about 2.45pm reported that a JCB was well alight inside the 20,000 tonne ship and close to a cargo of wood chippings." Quote: "Nobody was hurt as flames engulfed a car parked along Duke Street near Frederick Street on Thursday. Firefighters were called at 9:03 a.m. and found a compact car ablaze." Quote: "The vessel, owned by the Boedihardjo Group, was carrying 73 passengers and crew, plus 21 vehicles, en route from Padangbai, Bali, to Pelabuhan Lemar, Lombok. A fire broke out on the vessel at 21.35 hours local time in latitude 08 36S, longitude 115 38E, at Lombok Strait, 11 miles east of Padangbai, Bali." Quote: "One person's injury is described as traumatic, and the other as a burn injury." Quote: "The 120-foot wide and 30-foot deep sinkhole opened Saturday afternoon in Spring Hill. 'Out of nowhere the earth just went straight up in the air and exploded up in the air," said Margaret Helmick, who lives in the neighborhood.'" Note: Just like the recent giant sinkhole in Russia, mentioned in the 2014-07-15 update. That was very likely methane exploding out of the ground, and so was this sinkhole in Florida. I said when the Russian sinkhole appeared that I bet we see more similar events just like that one, and here we go, just a week later. Now that it's happened twice, and both in areas with lots of subsurface methane, then you can be sure we're going to see even more similar events, in Florida and elsewhere, quite possibly in populated areas like this Florida event. The methane hydrates are dissociating, transforming from a solid of a sort to methane gas and water as the ice matrix surrounding the methane gas melts. Then the gas starts rising to the surface and eventually accumulates, If there is no easy path to the surface for the gas then the pressure will build until eventually a bubble of gas explodes out of the ground, escaping into the atmosphere. Then because there is lost volume from the gas which has now just escaped, the ground collapses back down and forms a depression, even if no chunks get blown outward, which they might. The seafloor is littered with similar craters from times past, so this will also happen - and it very likely already is happening - on the floor of the seas and oceans too. When those bubbles hit the surface then they may create 'rogue waves', of which there have been many, particularly in recent years, causing more boats and ships to capsize. It won't be just methane hydrates that are a problem though. As heat rises from below, gas pockets everywhere will be under increased pressure so this same thing is apt to happen wherever there are either methane hydrate deposits OR where there are gas pockets in the ground, so inland states like Oklahoma and Arkansas and so on will not be immune. This may in part explain all the rampant fracking: to get the gas out of the ground and replace the lost volume with inert fluids before the gas just plain starts exploding out of the ground on its own in events like this one. Another reason would be to remove the methane (e.g. natural gas) from the ground before the ancient anaerobic bacteria and archaea that produce hydrogen sulfide eat that gas and turn it into hydrogen sulfide, which is not just much more flammable but also vastly more deadly. We've already got people dropping dead all over the place, so any further hydrogen sulfide that we can prevent from entering the atmosphere would certainly be beneficial. If there had been a flame near this area when the gas burst free then there might have been a gigantic explosion and/or fire as the methane ignited. Luckily that didn't happen this time, but who knows where this will happen next. In addition to this exploding sinkhole and the one in Russia, a road also recently exploded in Ho Chi Minh City (Vietnam), mentioned in the 2014-06-30 update. Quote: "A fire has broken out at a car breaker's yard in east Devon. The blaze, described by police as a 'major incident', started in the yard in Woodbury, near Exeter, at about 14:30 BST. People living within 200m (660ft) were evacuated from the area." Quote: "The police says the trio were between 25 and 35 years old and their bodies were discovered, frothing at the mouth, at 11 pm on Monday night in a car whose windows were rolled down." Note: This is by no means the first time multiple people have mysteriously died while foaming at the mouth. It's not even the first time multiple people have mysteriously died foaming at the mouth in a car. Hydrogen sulfide poisoning can cause foaming from the mouth, convulsions, seizures, unconsciousness, death. As the atmospheric contamination intensifies over time, increasing numbers of people will be dying just like these three men, though not necessarily in a vehicle, but also on streets, in schools, at work, at home, anywhere. A couple, 23 and 19, were found dead in bed at home in Searcy (Arkansas), one of them foaming at the mouth, mentioned in the 2012-08-27 update. A college student died foaming from the mouth in a hostel room in Varanasi (India), mentioned in the 2014-05-15 update. A woman was found dead, foaming from the mouth, near a cemetery in coastal Sungai Putat (Malaysia), mentioned in the 2014-04-21 update. Three students collapsed unconscious and foamed at the mouth outside Riverside High School in El Paso (Texas), just downwind of the Rio Grande, mentioned in the 2013-06-04 update. A man was found dead foaming at the mouth in a building in coastal Spanish Town on the island of Jamaica, as mentioned in the 2013-12-17 update. An inmate, 48, was found dead and foaming at the mouth at 12:45 AM in his cell in Kuala Lumpur (Malaysia), mentioned in the 2014-04-16 update. A boy, 10, was found dead, foaming at the mouth, near a building in Soweto (South Africa), mentioned in the 2014-03-26 update. A man, 34, was found dead and foaming at the mouth in a drainage tunnel in Flagstaff (Arizona), mentioned in the 2014-02-05 update. A family of five were found dead at home, foaming from the mouth, in coastal Karachi (Pakistan), mentioned in the 2013-12-09 update. Two men were found dead in a car, engine running, foaming at the mouth, in Asaba (Nigeria), mentioned in the 2013-12-12 update. And so on. 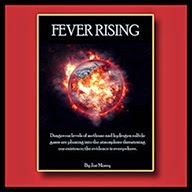 Quote: "Hallesy said the fire may continue to burn for days. It was decided to let what is left of the fire burn itself out because of concern for nearby waterways, including the Little Muddy River." Quote: "A scientist on the Oden has blogged about the seabed methane emissions saturating the water column and entering the atmosphere - terming it a 'megaflare.' Ulf Hedman, Science Coordinator, Swedish Polar Research Secretariat comments: 'We see the bubbles on video from the camera mounted on the CTD or the Multicorer. All analysis tells the signs. We are in a Mega flare. We see it in the water column we read it above the surface an we follow it up high into the sky with radars and lasers. We see it mixed in the air and carried away with the winds.'" Quote: "Industry analysts and safety experts shake their heads at the seeming randomness of the tragedies, saying they can find no common themes. Nor do they think the events indicate that flying is suddenly becoming less safe." Quote: "An Air Algerie flight with at least 116 people on board which dropped off the radar in the early hours of Thursday appears to have crashed in a remote area of Mali." Quote: "Residents in Zhejiang province said the river looked normal at 5 a.m. Beijing time on Thursday morning. Within an hour, the entire river turned crimson. Residents also said a strange smell wafted through the air." Note: They're blaming industrial pollution. That doesn't really make sense. That wouldn't make the entire river change color like that, nor would it happen so incredibly abruptly either. And a strange smell in the air too? This sounds more like the chemocline abruptly rising to the surface, releasing accumulated hydrogen sulfide and methane from the depths into the air, causing a smell and a sudden change in color. The Inner Harbor in Baltimore also changed color abruptly - to milky white-green in that case - and there was a 'rotten egg' odor in the air, mentioned in the 2013-07-18 update. That was definitely the chemocline rising abruptly to the surface and the 'rotten egg' odor was from the hydrogen sulfide that belched into the air. The only difference here is that the water turned red instead of milky white-green, so it's probably a different species of archaea or bacteria at the bottom of this river from the archaea and bacteria at the bottom of the Inner Harbor in Baltimore, resulting in a different color. The event in the Inner Harbor was more serious - all the fish died in that case - but this event in China definitely LOOKS more apocalyptic just because of the color. This isn't the only anomalous river-related event in China in recent times either. In March, the Meiyu River burst into flame in coastal Wenzhou (China), mentioned in the 2014-03-08 update. A river, on fire. That's water, burning! Like all the people with flammable tapwater that have come forward in recent years, caused by methane contamination of their water supply. If enough methane and/or hydrogen sulfide is dissolved into water, the water itself can indeed burn. To date that is still the only burning-body-of-water event of which I am aware, but once you see something like that happen once - and it didn't used to happen at all - then the odds are high that whatever caused it to happen the first time will crop up again in some other body of water. Clearly the environment - or the biosphere or whatever you want to call it - is spazzing and changing right before our very eyes, and not in ways that are conducive to the survival of life as we know it. Quote: "Just a week into the sampling program and SWERUS-C3 scientists have discovered vast methane plumes escaping from the seafloor of the Laptev continental slope. These early glimpses of what may be in store for a warming Arctic Ocean could help scientists project the future releases of the strong greenhouse gas methane from the Arctic Ocean." Quote: "By use of acoustic techniques and geochemical analyses of water samples, the scientists found vast methane plumes escaping from the seafloor at depths between 500 m and 150 m. At several places, the methane 'bubbles' even rose to the ocean surface. What’s more, results of preliminary analyses of seawater samples pointed towards levels of dissolved methane 10-50 times higher than background levels." Quote: "Kelley Watt commented saying that she saw two flashes of bright light." Quote: "Airport police said the wheels of Biman Bangladesh Airlines flight BG702 caught fire when it touched down at the airport at around 2 p.m., Xinhua reported." Quote: "Fire crews were called to a fire at a recycling plant, crews reported that 40 percent of 300 tonnes of scrap metal was on fire. The area alight measured approximately 30 x 30 metres and was 10 metres high."